For the past few weeks, I’ve been breaking down the top aspects that brands look for in influencers to collaborate. So far, we’ve talked about aesthetic and personality- both of which are incredibly important and also fun to dive into. But there is one more thing that is truly the most important and also the toughest talk about. It’s quality: How well crafted and professional your content is and how it stacks up against influencers with similar audiences. To be honest, I’ve been putting off this post because, as a writer myself, I know how painful it can be to be told that your work isn’t quite up to snuff in terms of quality. I’ve been turned down by publishers who have literally told me that, while they love my stories, my style leaves something to be desired. Ouch. After hearing this a couple times, I took matters into my own hands and went to grad school. The good news for you is you don’t need a degree or special training to be an influencer. There are simple, concrete steps you can take right now to up the quality of your photos and really take your Instagram game to the next level. What makes a high quality photo? I want to be clear about one thing: you do not need a professional photographer or a fancy camera to create beautiful content. Having these things can be great, especially if you’re going for a high-concept aesthetic or a really artsy style. But many great influencers take their own photos right on their phones, and that’s fine. But they still pay attention to many of the same concepts that professional photographers think about: lighting, composition, color, and focus. When we’re just playing around on social media, we don’t think about these things- we mostly want to make sure our smiles don’t look weird and no one is cut out of the photo! 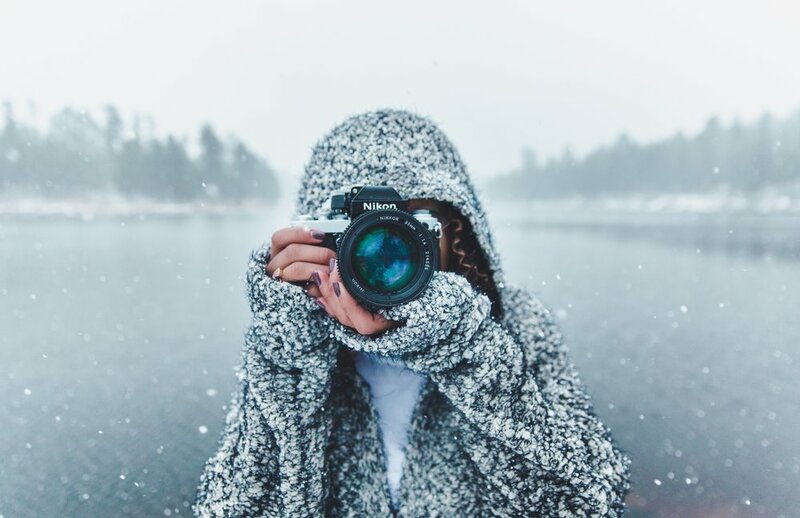 Treating your Instagram like a regular social profile may work in the very early stages of being an influencer, but as you grow you need to start thinking about your photos in terms of composition. But I don’t know anything about photography. What do I do? I feel you. Really. You got into this because you love fashion or parenting or exploring the great outdoors, not because you understand the nuances of lighting technique. But this is a great opportunity to learn something new. Start with a beginner photography course- many city parks offer free courses in the summer! You can also share tips with other influencers. Oh, and you can check out our blog post on making great flat lays. Many of these same tips apply across the board. Can you show me examples of high quality photos? Of course. I’ve selected samples from three different types of accounts to highlight their professional-quality technique. Note the way he uses light and shadow to his advantage in these photos. The use of light and perspective draws our eye and tells us exactly what he wants us to focus on in the picture. She is doing really cool things with perspective here. By placing herself as small in the image, we get a sense of the vast size e of the nature surrounding her, allowing us to get a small sense of the wonder she is feeling in these moments. There is a great balance between light and shadow in these photos. She uses lots of whites, but is sure to create plenty of texture to make shadows. I also love the depth in that mirror shot. So ladies and gents, there you have it…. Aesthetic, personality, and quality. In my opinion, these are the most important aspects of nailing social media, but it goes without saying that there’s always more to learn. Do you have suggestions for future posts? Leave your questions in the comments!